Pro-Land Landscape Construction Inc. specializes in creating award winning residential and commercial landscapes. 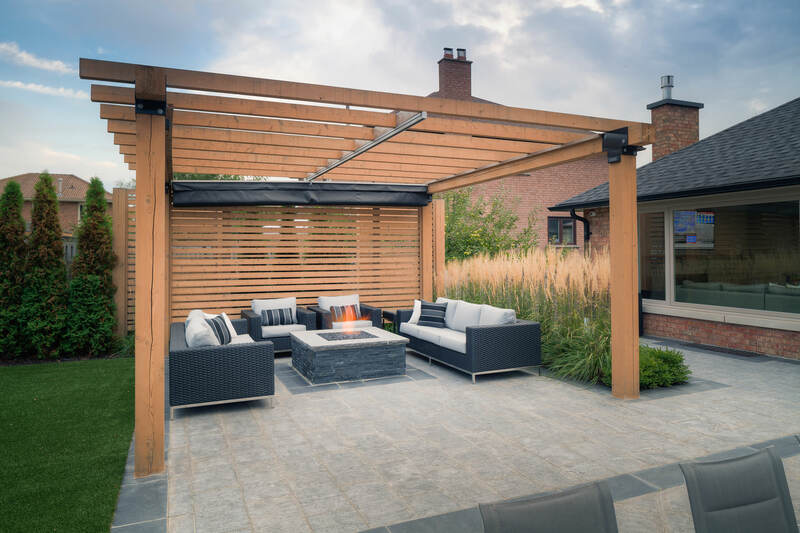 From design to execution, Pro-Land works closely with their client to create an exterior that is representative of their personal tastes and styles. 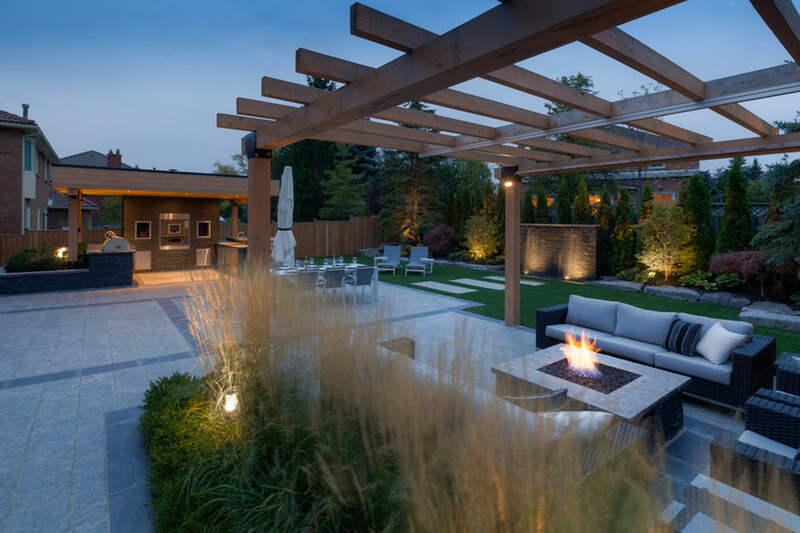 Their attention to detail and perfect execution is on full display at this residential home in Vaughan, Ontario. 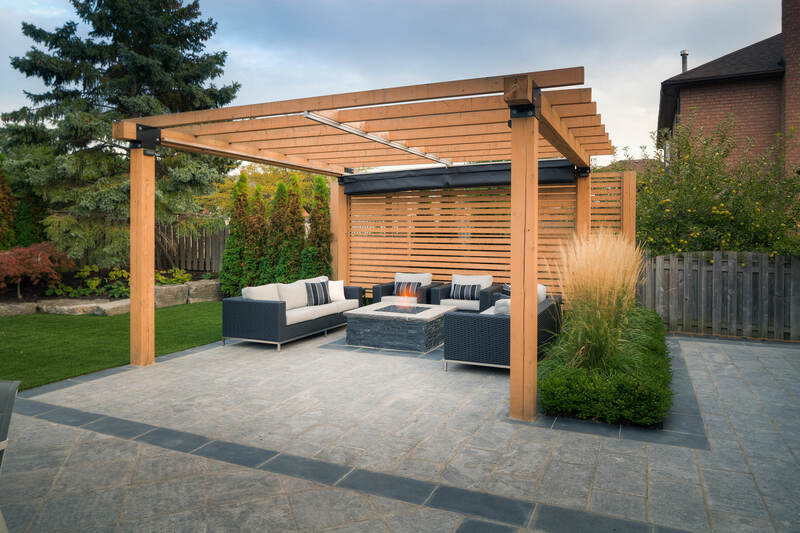 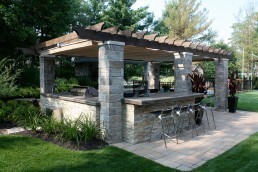 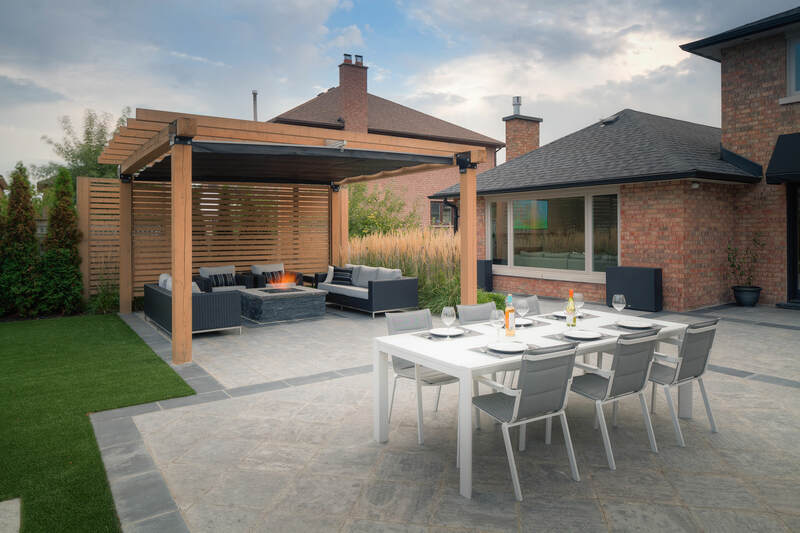 The large residential backyard, which boasts a water feature, expansive tiled patio and outdoor eating space is tied together beautifully by a striking pergola. 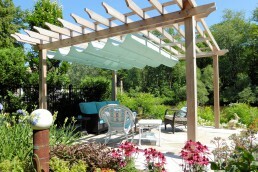 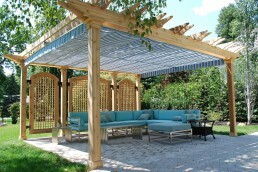 The pergola itself is bordered by articulate greenery and private partition to provide guests maximum privacy. 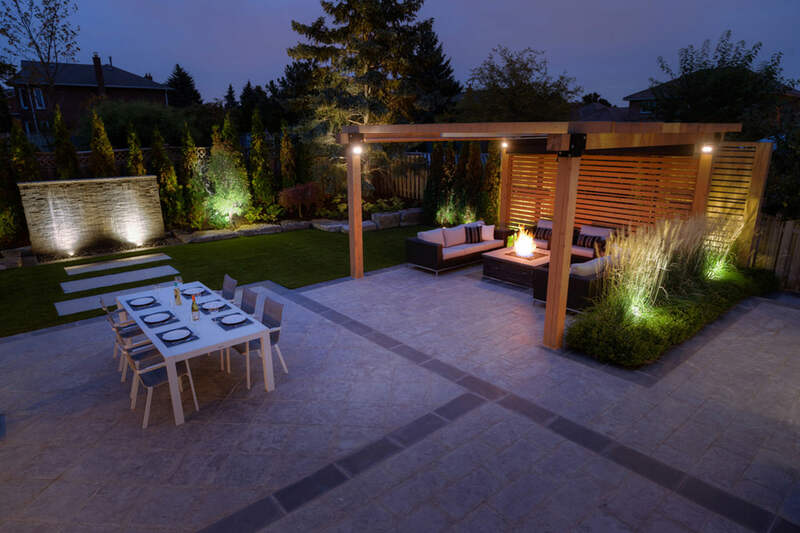 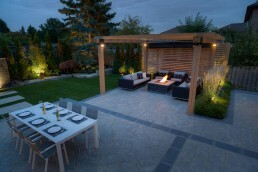 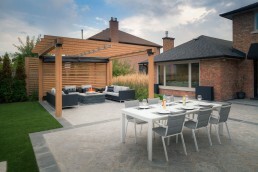 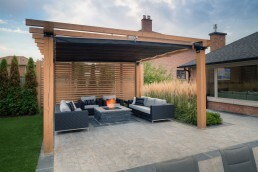 A modern fire feature is surrounded by complimentary outdoor furniture, to create a relaxed and cozy outdoor room. To maximize everyday use of the space, Pro-Land enlisted the services of ShadeFX to provide a solution for sunny days and rainy afternoons. 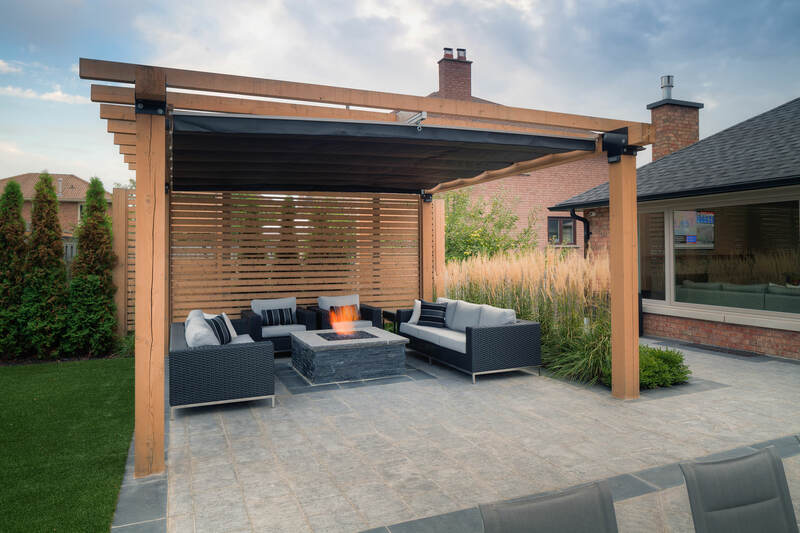 Our single track design complements the modern and minimalist space, and adds an industrial yet tactful component to the pergola. 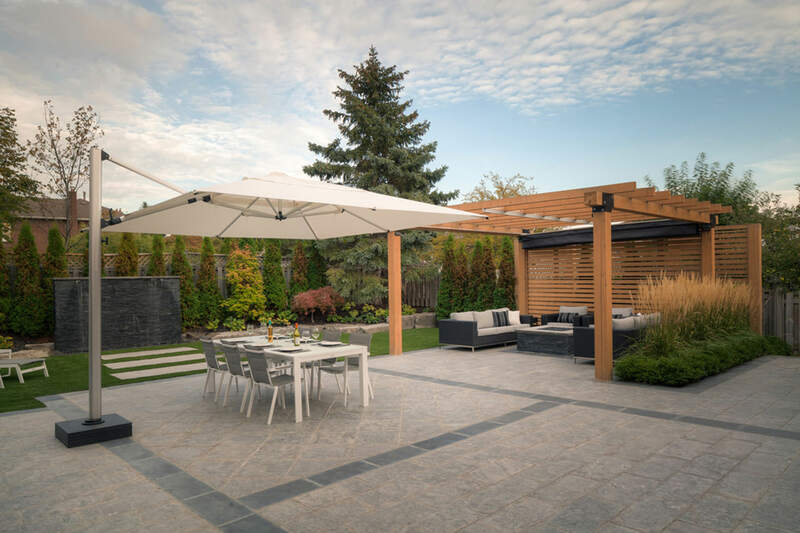 The manually operated retractable shade is tilted to one side to direct rain to the turfed area; ensuring guests enjoy the ultimate comforts of the space. 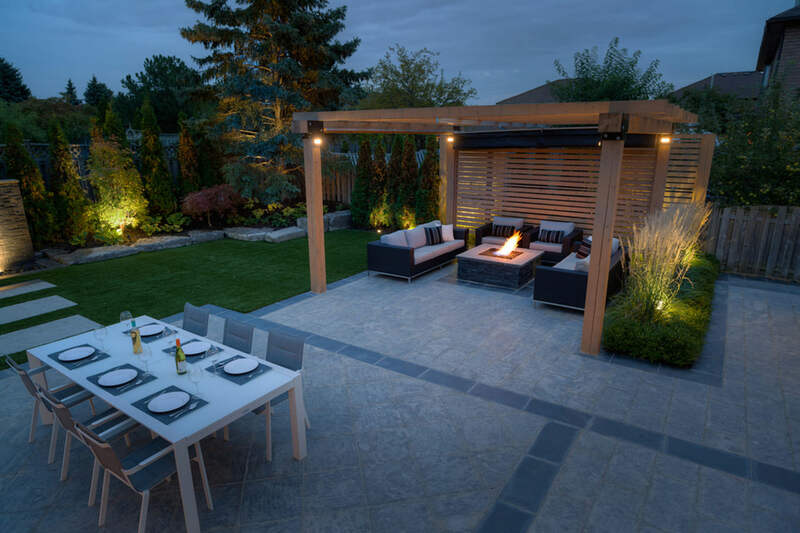 Pro-Land commissioned ShadeFX to provide a full measure and installation service to compliment another award worthy design.